The mandolin chords are included in G, C, and D Major. 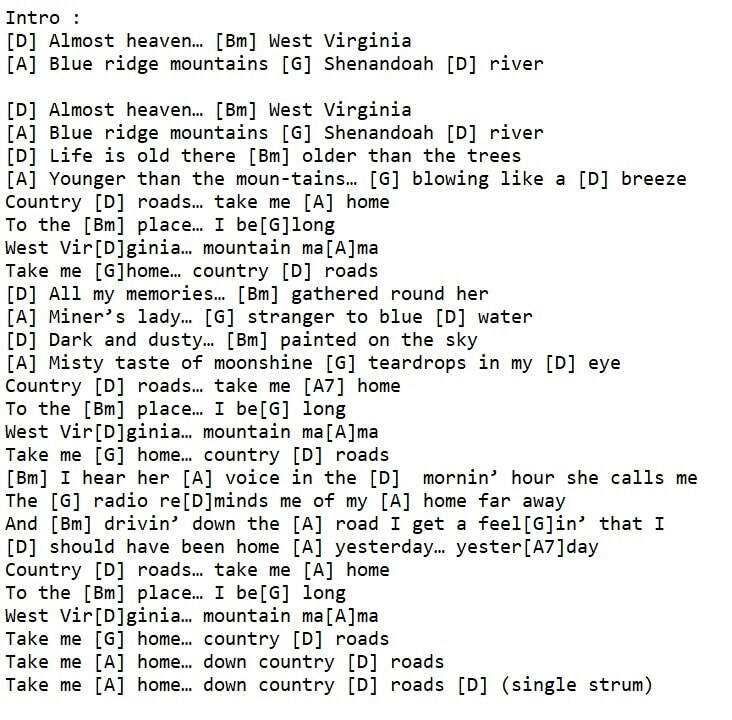 Compared to other songs on the site, this one is fairly long and there's a lot of notes to learn. You could break it down into sections and learn just one line at a time. It's a classic and everybody knows it, so it's well worth the effort. The easy to follow letter notes are included. 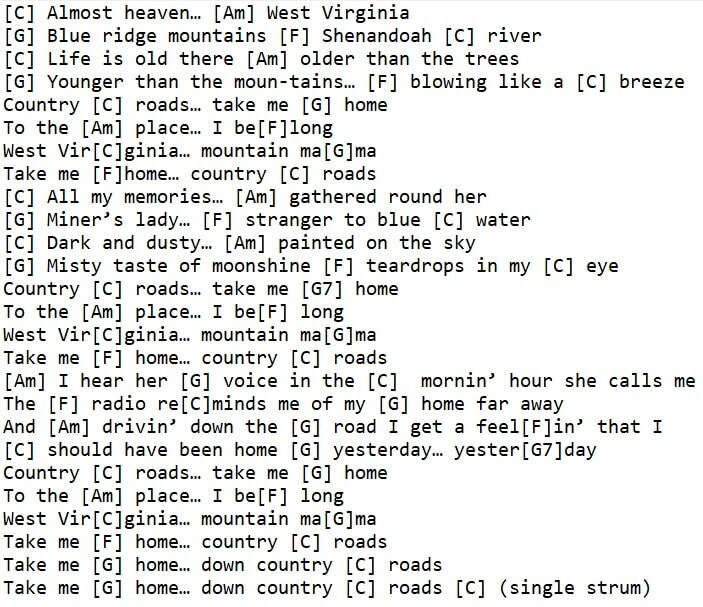 John Denver wrote and recorded it. 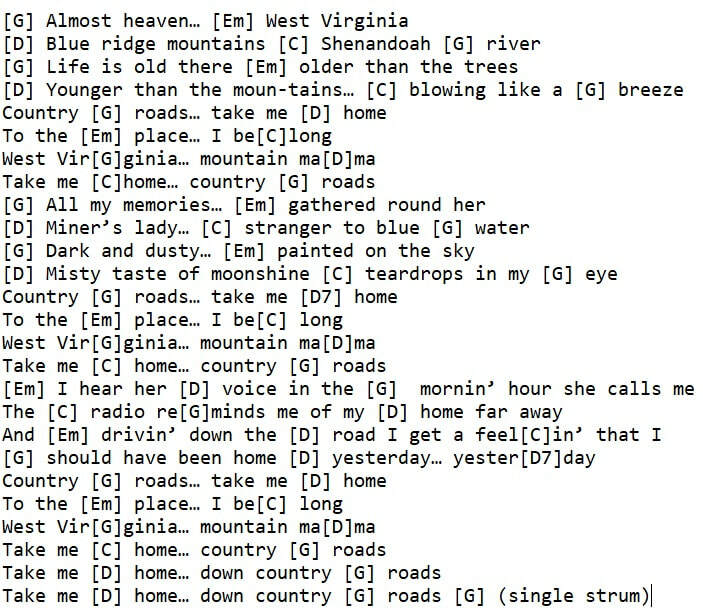 The tuning for the Banjo / mandolin is standard GDAE. 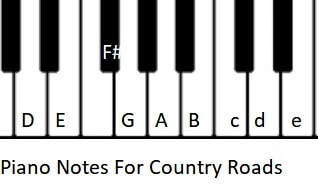 The piano key notes are included in an image showing which one's to play.